A norovirus outbreak on Princess Cruises' Crown Princess cruise ship resulted in more than 170 passengers suffering from the gastrointestinal illness. However, according to passengers onboard, crew members took proper action to ensure that the number didn't rise before the ship docked over the weekend. According to the Associated Press, the vessel, carrying more than 4,100 people, docked in the Port of Los Angeles on Sunday and underwent "a thorough cleaning" following a month-long voyage that took passengers from L.A. to Hawaii and Tahiti before returning to the U.S. mainland. Passenger Yvonne Lubos detailed some of the procedures Crown Princess crew members followed while at sea to minimize the spread of illness, per KABC-TV: "In the dining rooms you were no longer allowed to take your utensils. Everything was handed to you ...They had to serve you the food. And so those measures really, I think, reduced the number. It could have been far worse." Another passenger aboard the Crown Princess, Laura Tagliere, said the outbreak "didn't impede our enjoyment of the cruise at all," per AP. The Centers for Disease Control and Prevention notes a majority of people recover from norovirus within a span of three days. The symptoms of the illness include vomiting, diarrhea and fever. 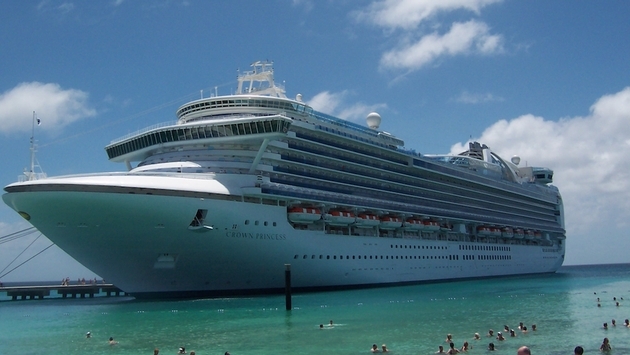 Nonetheless, Princess Cruises, its parent Carnival Corporation and the Crown Princess will be under the microscope moving forward as this marks the second time in eight months that passengers aboard the ship have contracted norovirus. 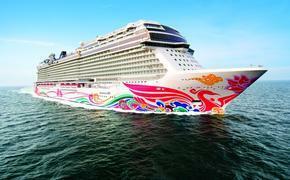 Nearly 130 people fell ill back in April during a seven-day cruise off the California coast. Just as it did then, the Crown Princess will undergo a disinfecting process to ensure that future travelers aren't put at risk.